These days, customers want it all. The highest possible quality, at the lowest price. High-end features and customisation, in the fastest delivery times. Now, that’s quite a challenge. Get rid of the pen and paper. 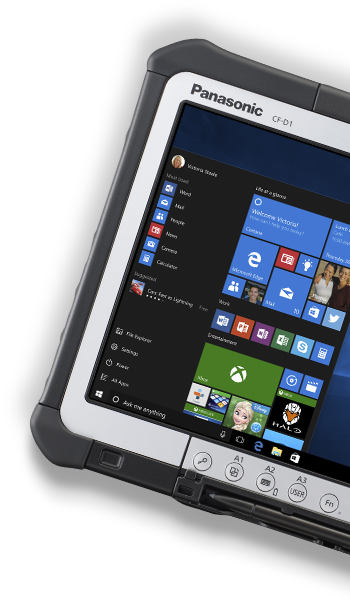 Robust mobile tablets and PCs enable workers to share and access vital information in real-time, from machine status, error reporting and job times, to repair manuals and historical data. What does this mean for you? . 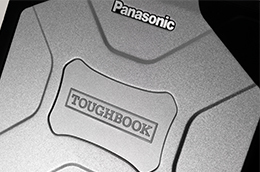 Panasonic’s rugged Toughbook and Toughpad notebook PCs and tablets are the perfect fit. 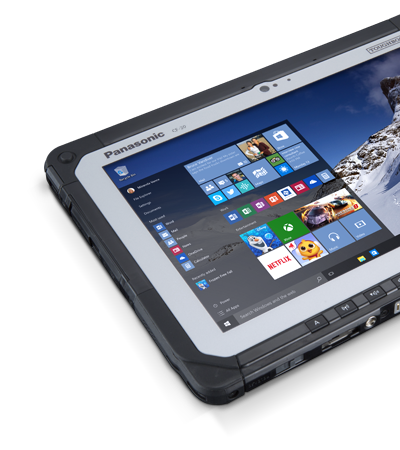 Drop-tested at 1.8m, water submersion and dust protected, and capable of withstanding extreme temperatures, our devices deliver incredible durability in your demanding environments. 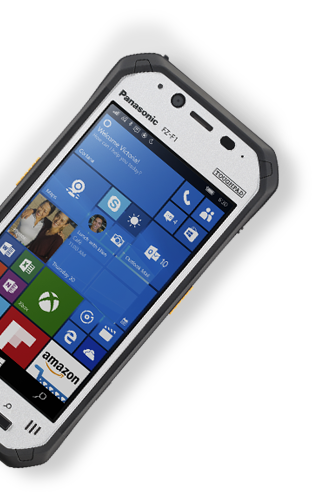 Reliable technology also means reduced hardware failure and unplanned downtime. 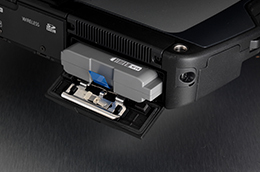 Extended battery performance, smartcard readers and fingerprint scanners mean our devices seamlessly handle multiple shifts and workers a day. 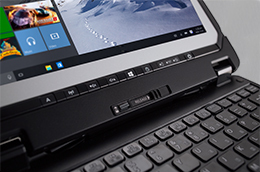 Toughened, anti-reflective and glove-enabled touchscreens mean ease of use on the assembly line. Indoors or out. Whatever the weather. Whatever the hour. HELP YOUR INDUSTRY IN OUR ONLINE VIDEO. Is your business ready for the digital transformation ? 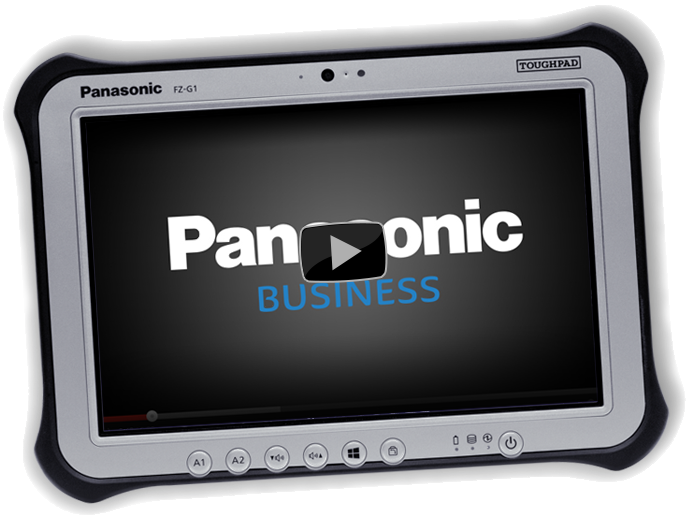 Speak to Panasonic today to find out how we can help you meet the objectives of your organisation. 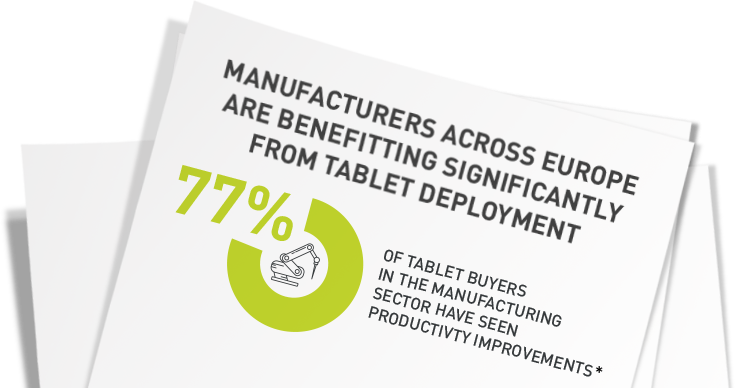 Discover how we're helping major names in the manufacturing sector to achieve greater productivity than ever before, in our downloadable leaflet.